The draft for the 2011 event has been presented. The theme is the chess. Based on a chessboard with three types of elements: the king, the queen and the pawn. 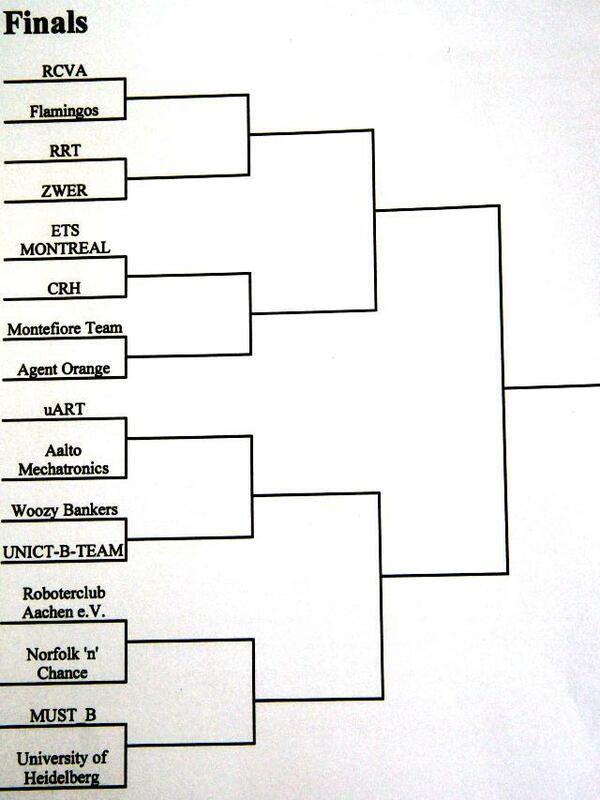 In the semi-final we compete against RCA from Aachen (Germany) and the match is very tight. With 100 points of difference, RCA wins this match. The difference is not easy to see and we have to wait the final count to have a precise idea of the results. 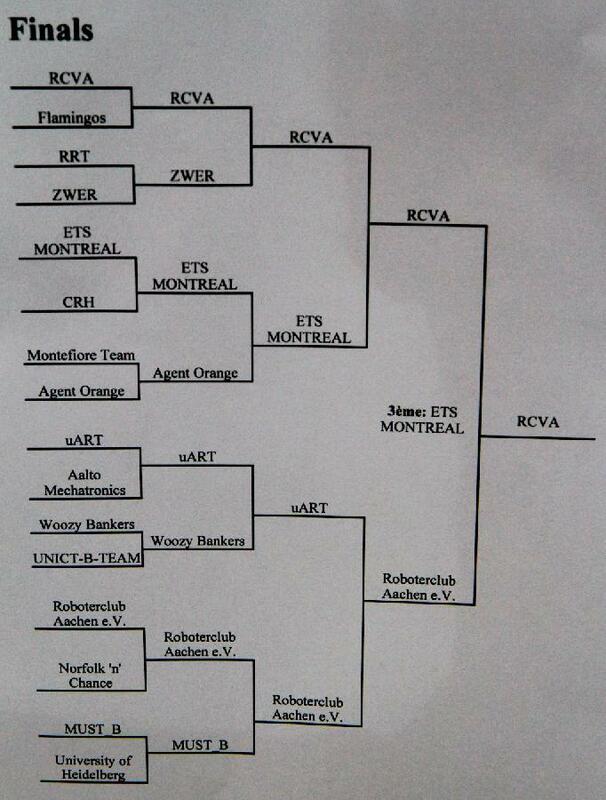 So we have our last match against ETS Montreal and a fourth place for John and the team. 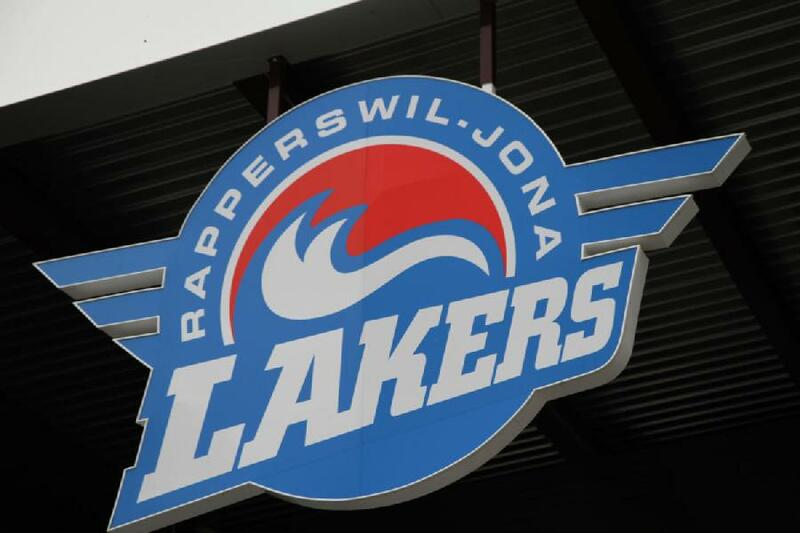 We are very happy of this adventure in Rapperswill and we have to pack our stuff rapidly since we have some road ahead. 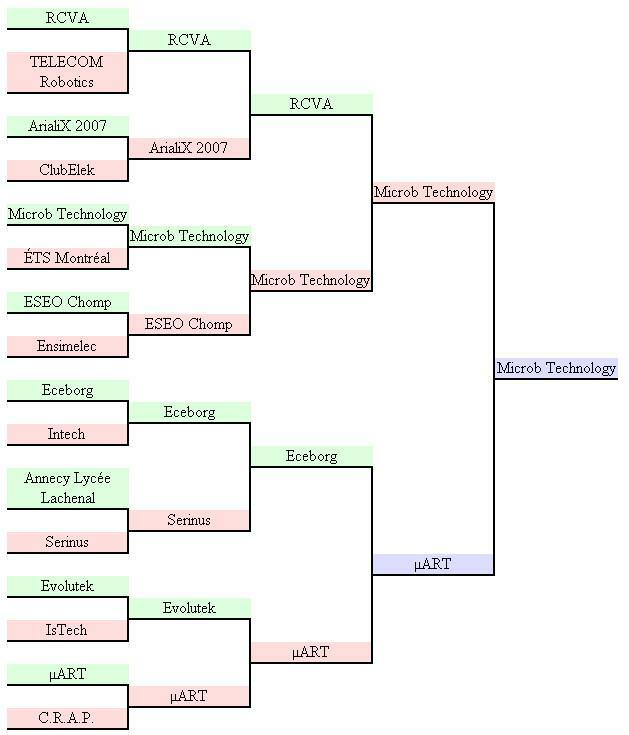 The first match for the final rounds (8th of final) is against Aalto Mechatronics (Sweden) and we win this match. 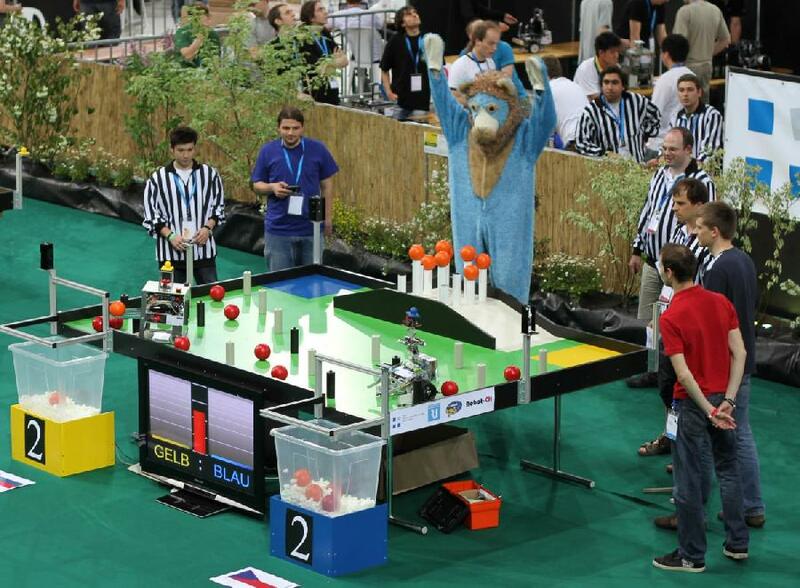 The second match of the final rounds (4th of final) is against Woozy Bankers (England) and we win this match as well. After the match with RCVA, John plays a friendly game with OSinraci. 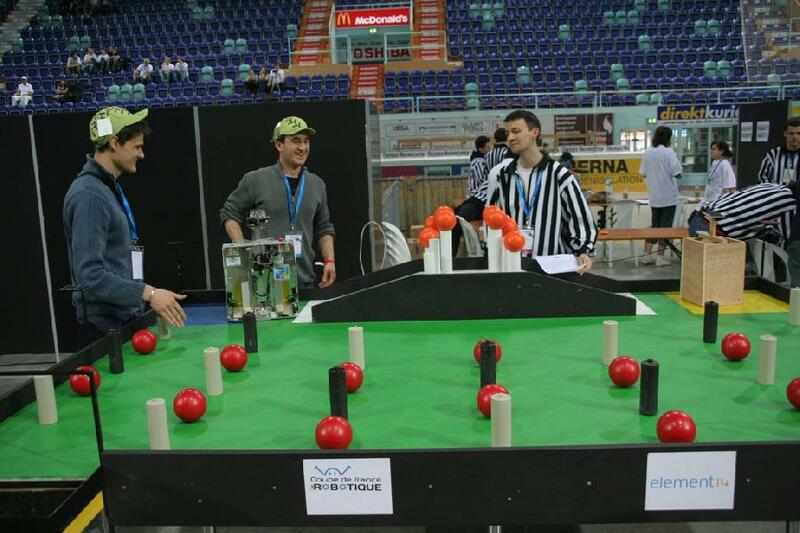 The game is done in 3 rounds in favour of OSinraci. 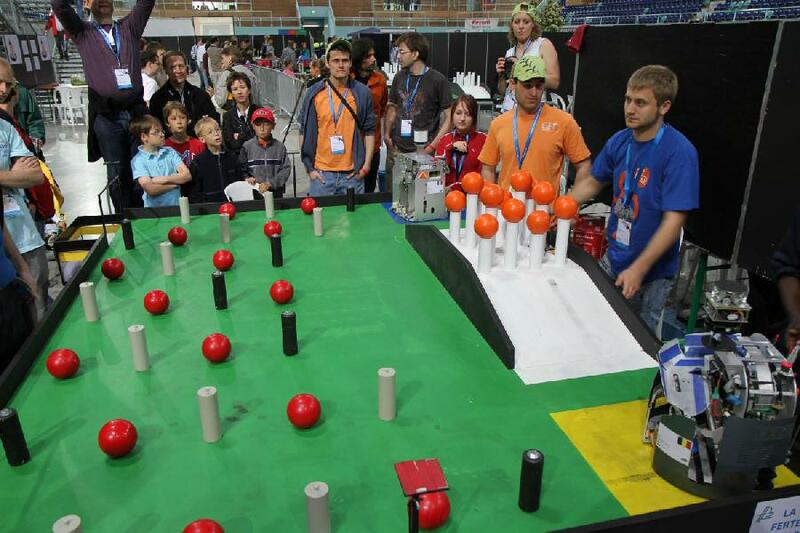 During this friendly game, they dominated the game largely but they didn't change anything on their robot. That's the game... but it's hard. The ranking is made official, we stay second and RCVA first. 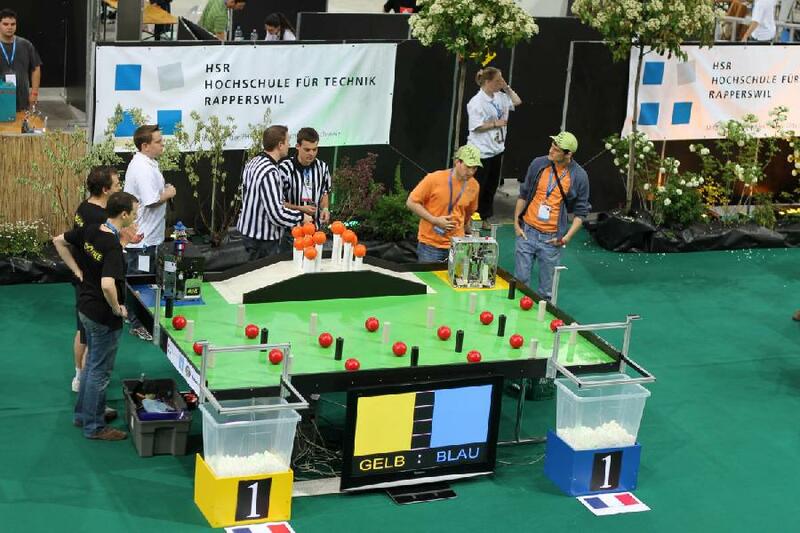 On the third position is the German team RCA from Aachen. It is with a big surprise and joy that we have to compete this morning against RCVA (F). 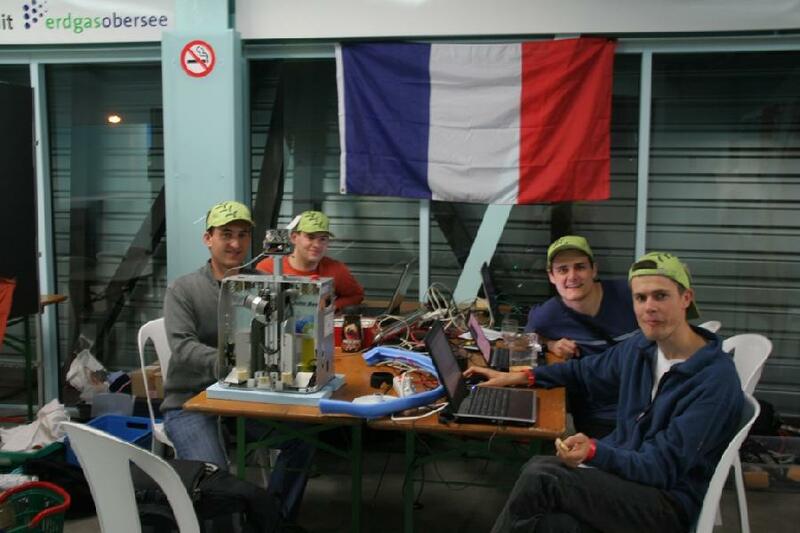 La Touffe ( RCVA's robot) seems to be in very good shape! Some warm-up, all seems fine, some oil here and there on some gears to eliminate all John's tensions and John is ready. It is a magnificent show that gave us John and La Touffe. On the table only 4 tomatoes and 3 corns left! A score of 4650 points to 2400 in favour of RCVA! 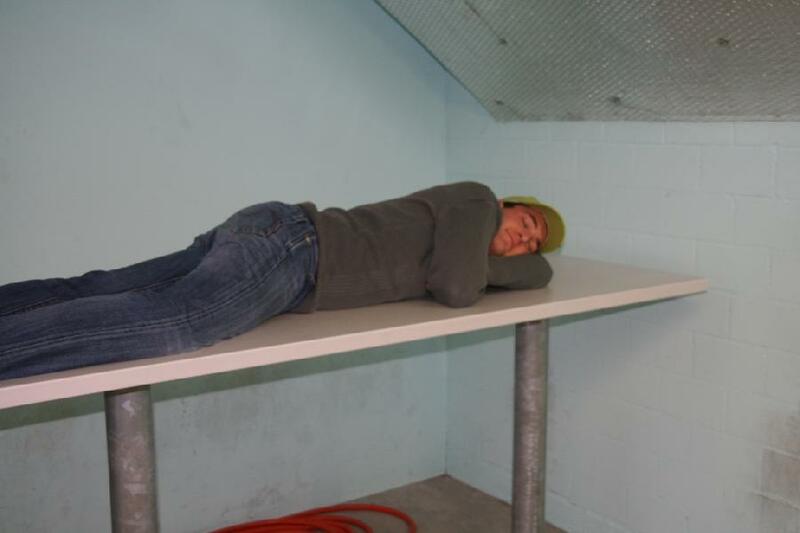 Until the end of the matches and the ranking for the qualifications, John gets some rest to recuperate from his stress for the finals in the afternoon. And to gather some strength a friendly game with OSinraci is planned. 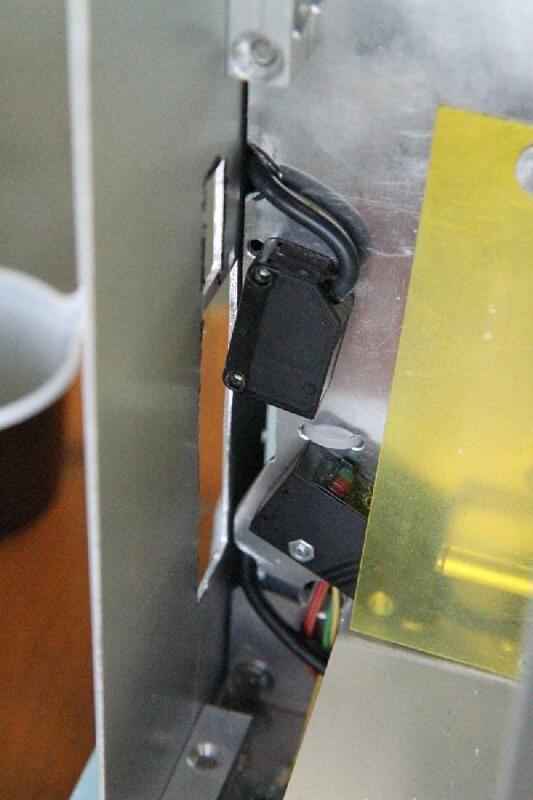 And again a big THANK YOU to Microb for its sensors! They have been installed and John feels 20 years younger! John continues on this path and gathers 3450 points to 50 points against the english team Norfolk'n'Chance. 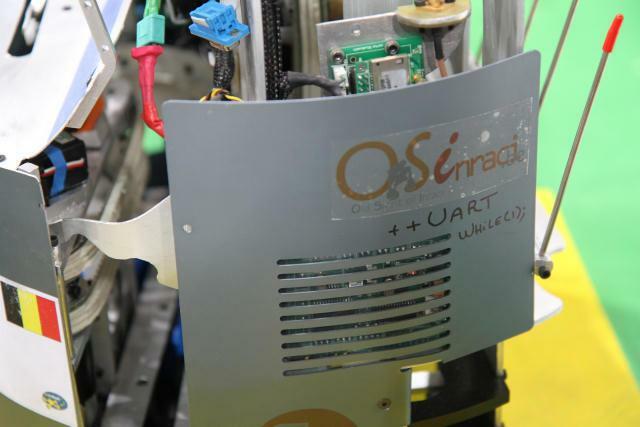 - our friends OSinraci (Belgium) are in the 16th position. 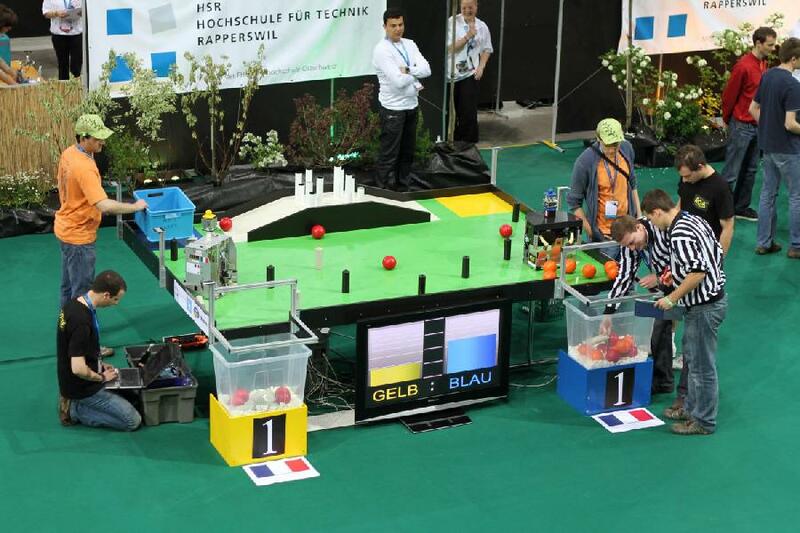 - our friends RCVA (France) are, without surprises, at the 1st position with beautiful matches (and a total of 25 000 points). 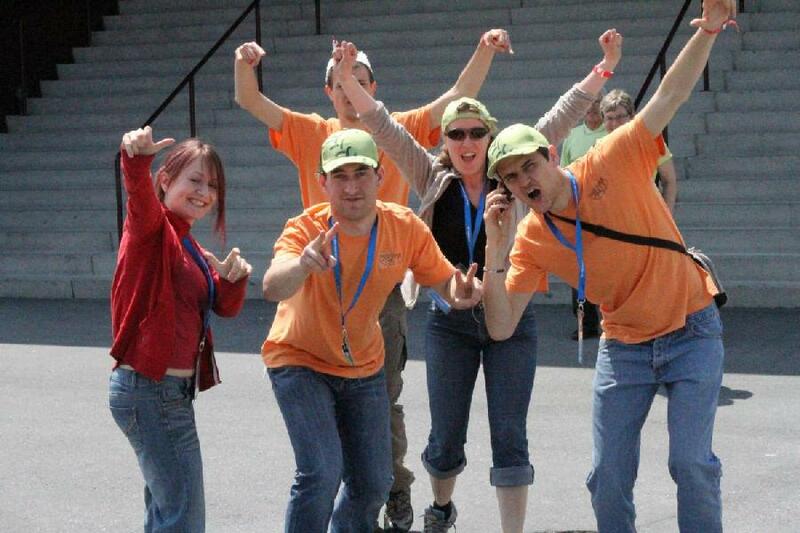 - at the 4th position is ETS Montreal. 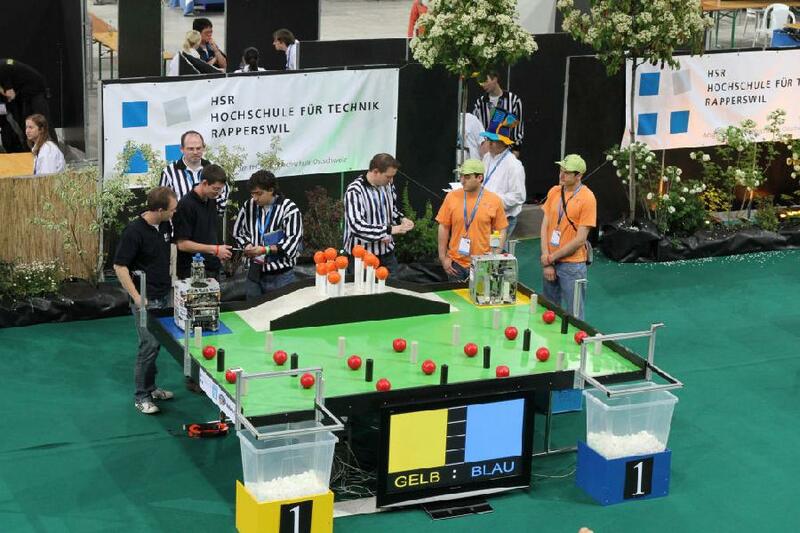 - from our side, we got the 2nd position with about 13 000 points. 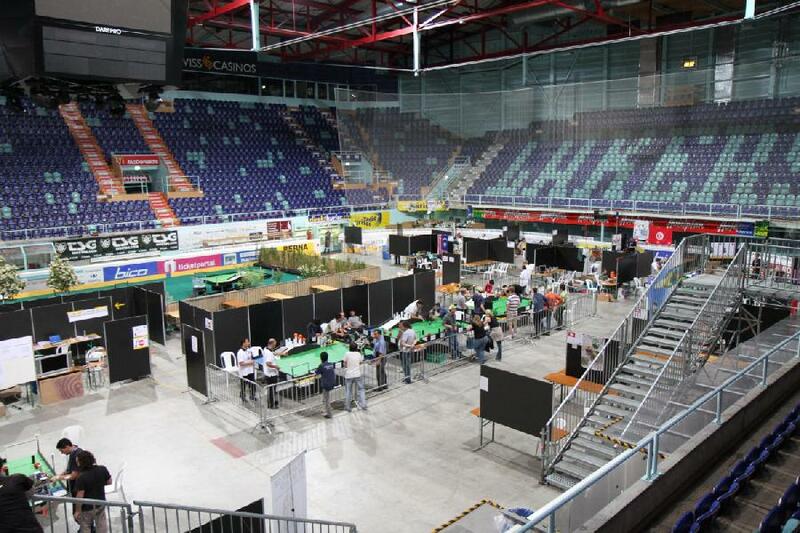 Tomorrow will take place the last match for the qualifications. John is already gone with a nice evening program: sauna, massage and some meditation about today's achievements. Joh is at his top, physio is definitely a good thing! 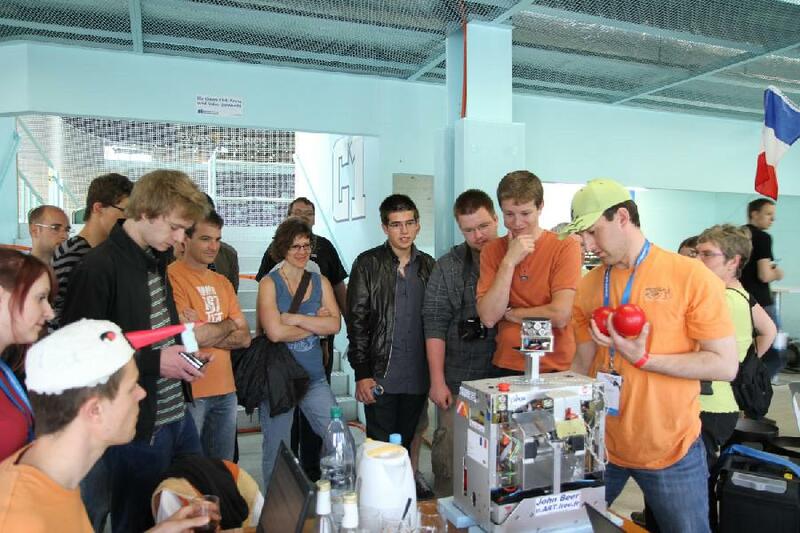 Also doping is strictly forbidden during the robotic event! John does not take any chances and makes use of natural methods only. That brings him and the team at the second place! The physiotherapy did some good to John since he won this third match with 2050 points to 50. The first match starts at 9.30. John is in good shape, starts right away and collects some mais corns. But this seems to deconcentrate John for a moment. Enough for him to loose his focus when handling a corn and there it comes, a cramp!! The arm get stucked... and won't move until the end of the game! 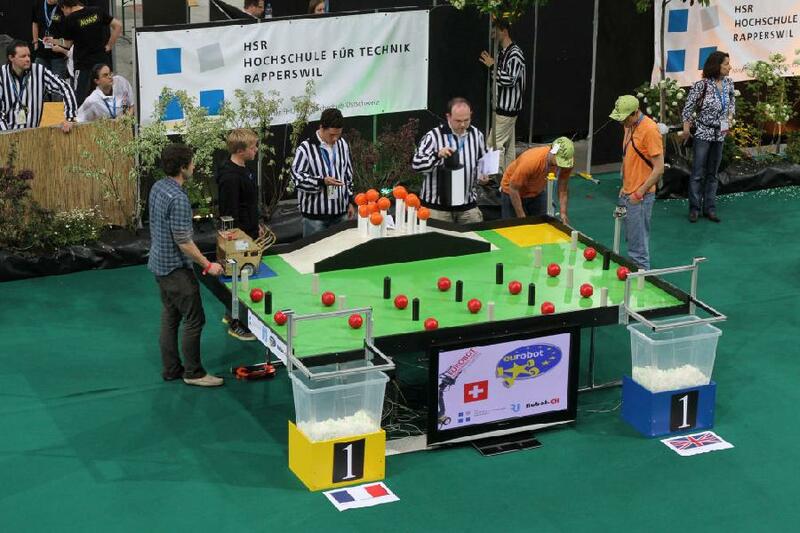 The Austrian team RRT wins the game with 2450 points to 1750. The next match is planned at 11h30. Enough time for John for some physiotherapy. 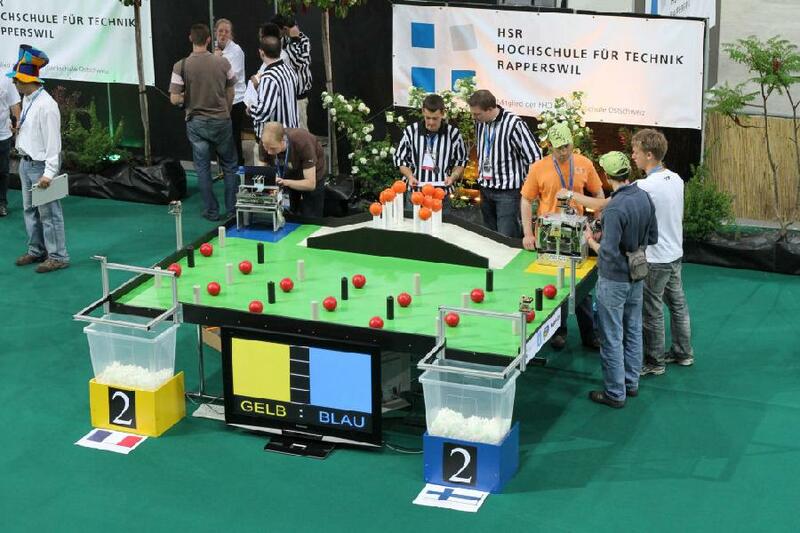 After the homologation of John Beer (our robot) in the morning, a first match takes place around 20.00. John does not seems to suffer of jet lag and win his first match with 2000 points (to 1000 points agains Catschadura (CHE)). Tomorrow, the day will be difficult: 4 matches planned. 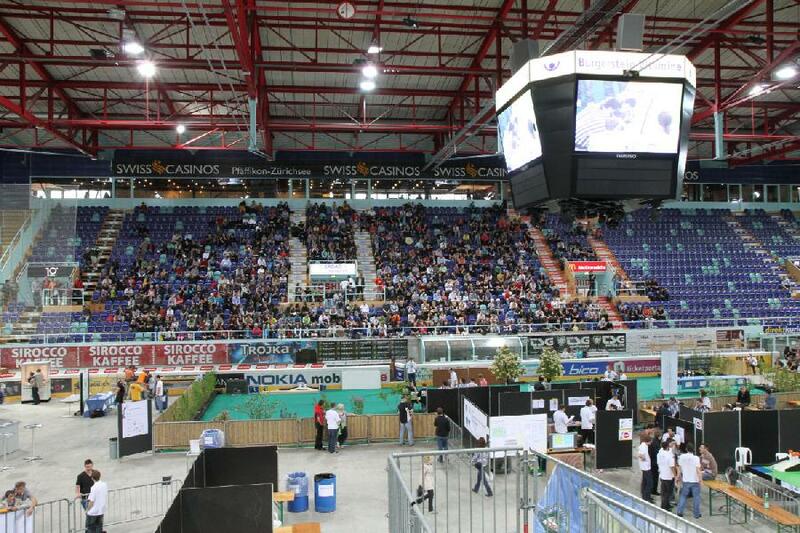 The European contest takes place in a big arena. 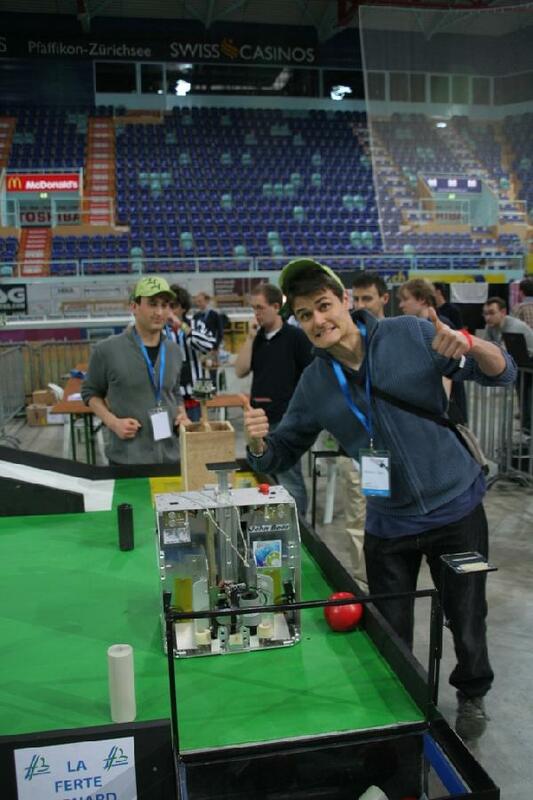 The team is homologated for Eurobot 2010. The team in Switzerland... with their new caps! 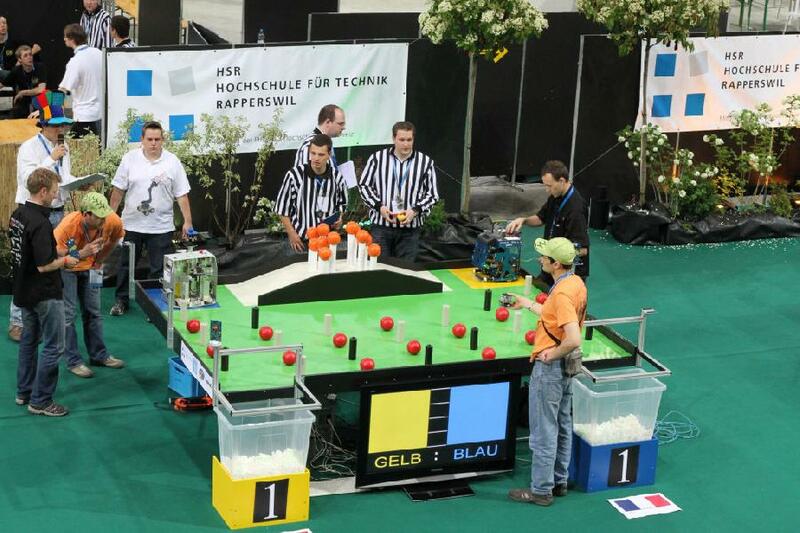 The French robotic contest took place from the 12th to the 15th of May 2010 in La Ferté Bernard. 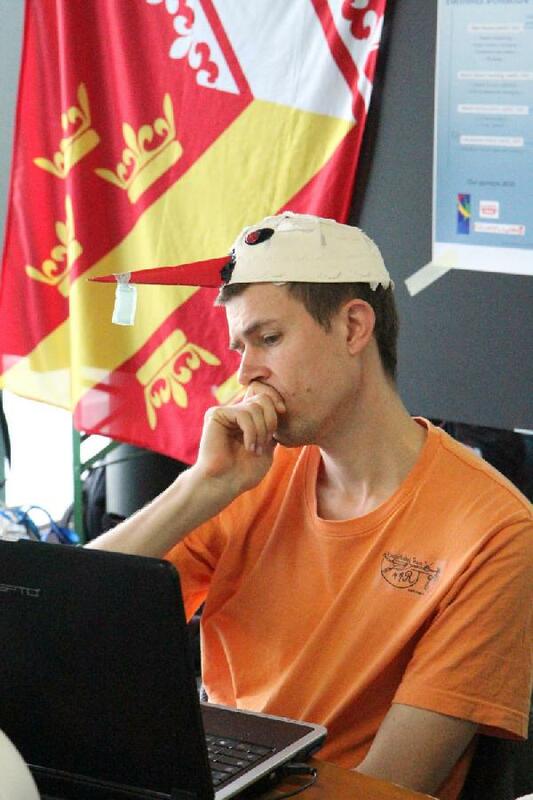 This is the English version of eurobot. 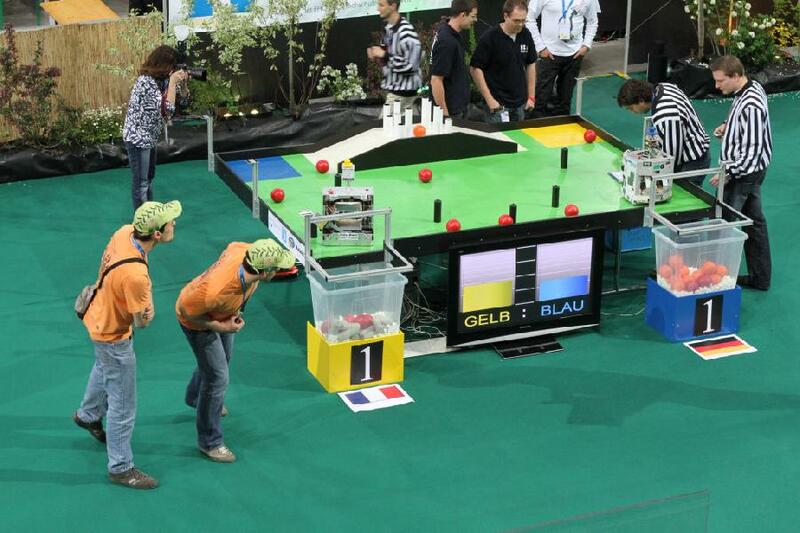 In this section, the eurobot articles will be translated.